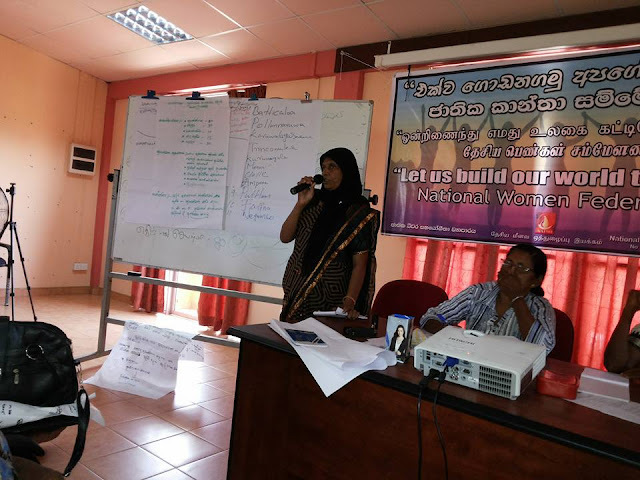 women leaders from 12 districts were gathered today (21/07/2015) to evaluate work carried out during past 6 moths period and prepare future work plans as national entity for women in the country. Mr. Herman Kumara, National convenor of National Fisheries Solidarity Movement addressing the meeting, explained the present political situation of the country and to explain the women role in make necessary changes in the political arena of the country. pros and cons of the 100 day program of the newly elected government was also discussed during Mr. Kumara's speech. 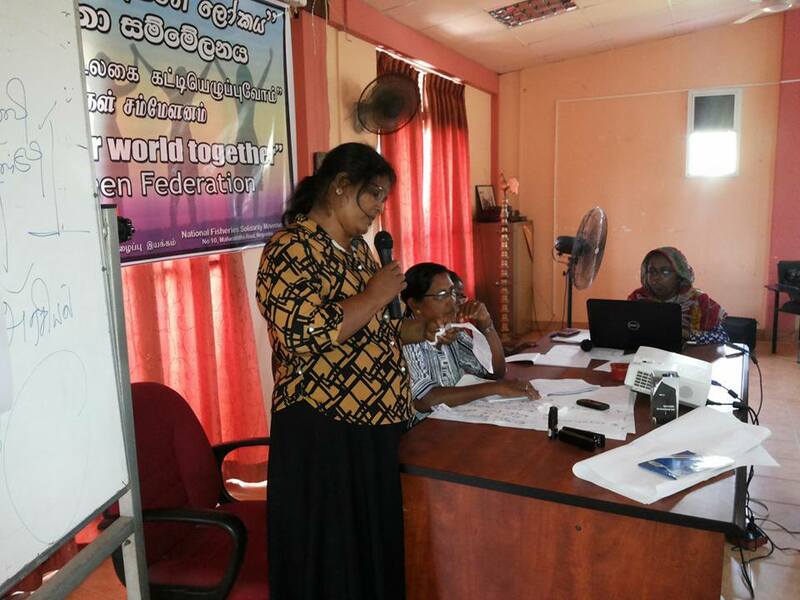 District representatives presented past six months progress and failures of the women federation work in each districts. A national level work plan was prepared for next five month of the year under five main theme areas to work. 1. 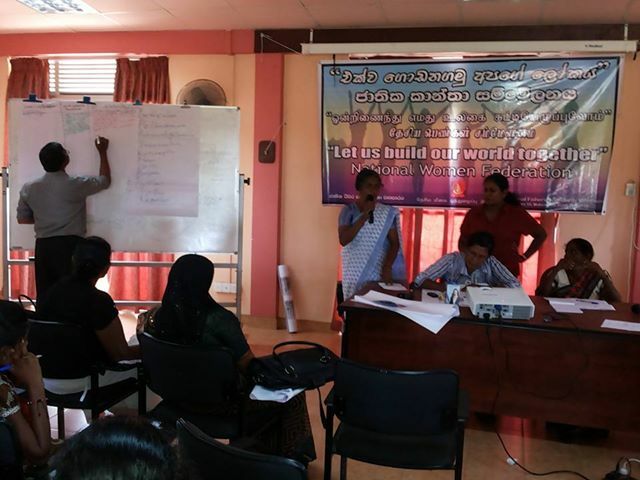 Prepare a broad action plan to win the land rights of the people. 2. 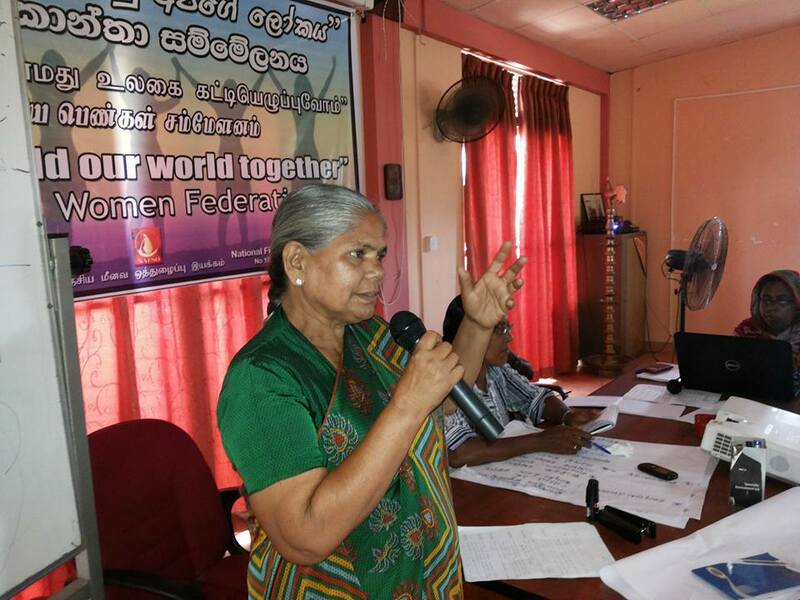 Actively work, especially during the election time period to win the demands of women which are already submitted in written form to the authorities. 3. Conduct district level walking campaign to show opposition and to awake people against women and chill abuse, rapes, drug distribution. 4. Village level awareness campaign against racism. 5. 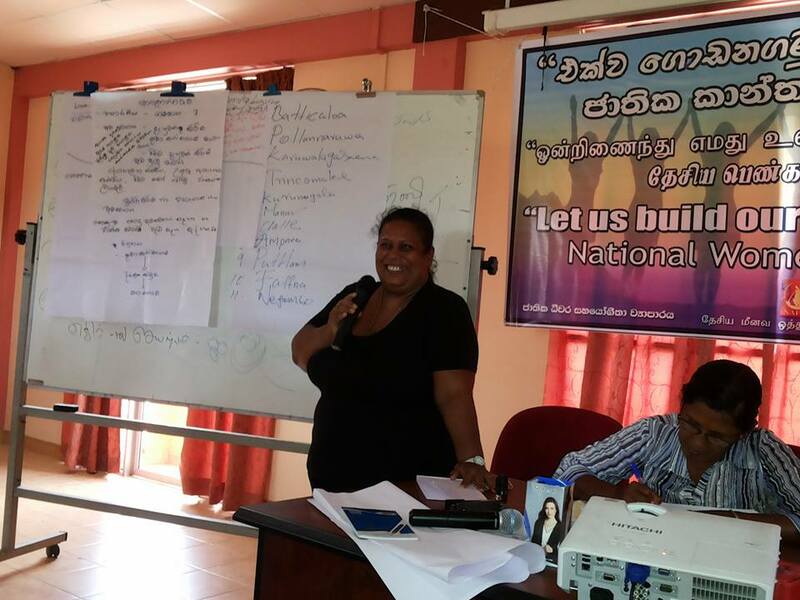 Work to increase of women representation in political arena in locally, regionally and nationally. Meeting was concluded with hope of meet again in first week of the December in 2015.